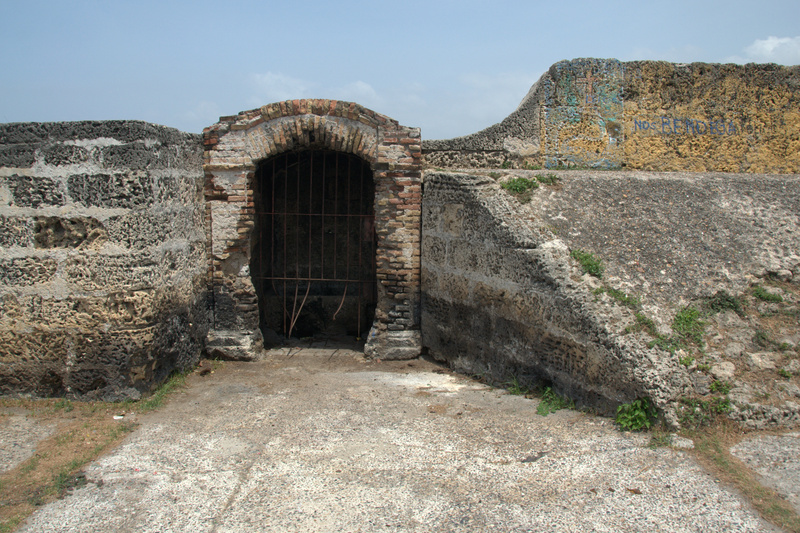 The walls surround the well-preserved Old City on three sides. 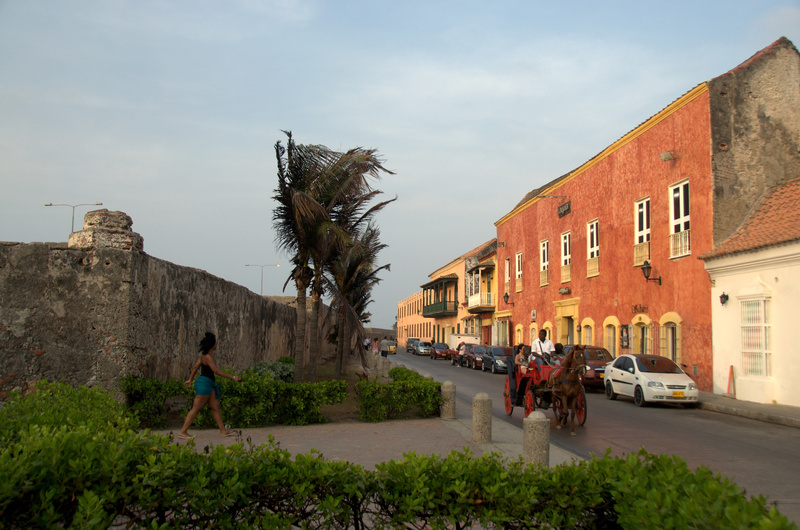 The north side flanks the Caribbean Sea as soft-colored colonial buildings rise above its ramparts. You can walk above or alongside most of the wall. Another way to see the wall is by horse-drawn carriage ride. Make sure your horse is well-nourished before agreeing to a ride. 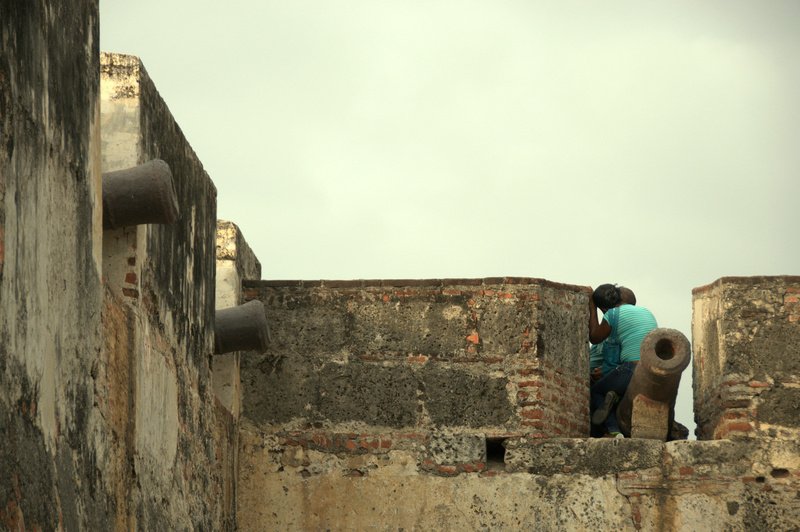 The walls are dotted with cannons, many of which conveniently double as lovers’ benches. 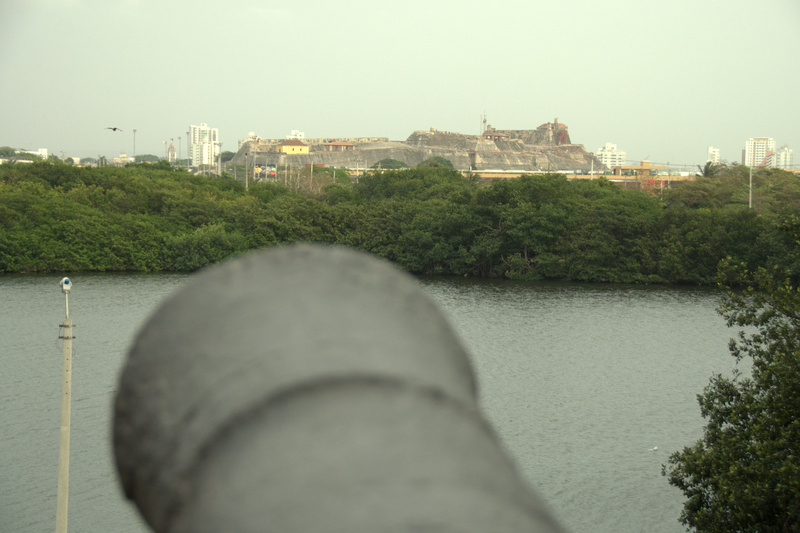 This cannon faces the massive Castillo San Felipe de Barajas, visible from across this lagunita. Built in honor of King Philip IV of Spain, the castle is arguably the greatest fortress ever built by the Spaniards. 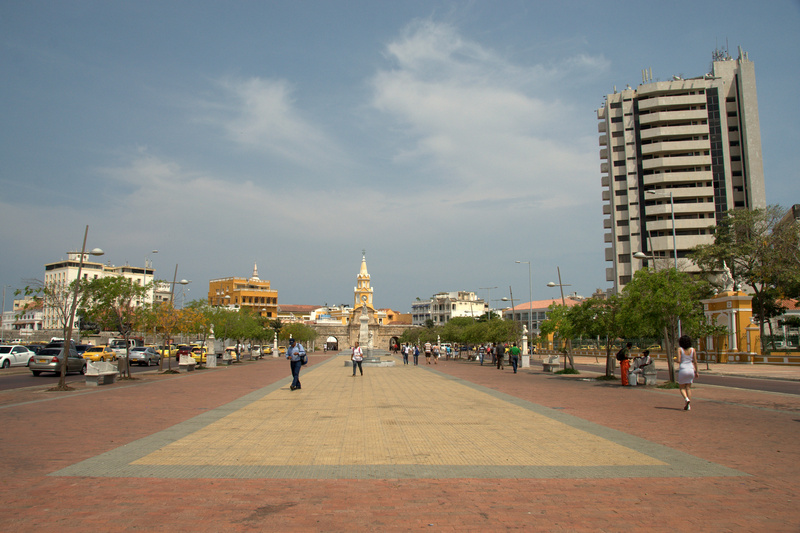 The Old City borders Getsemaní, a colorful, once-dangerous barrio that is now home to Cartagena’s budget accommodation. 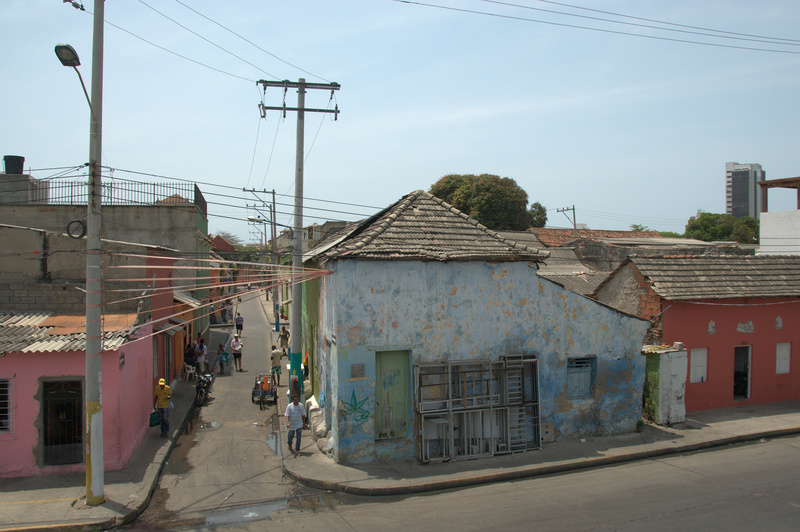 Getsemaní has its own section of wall, more dilapidated that other sections. 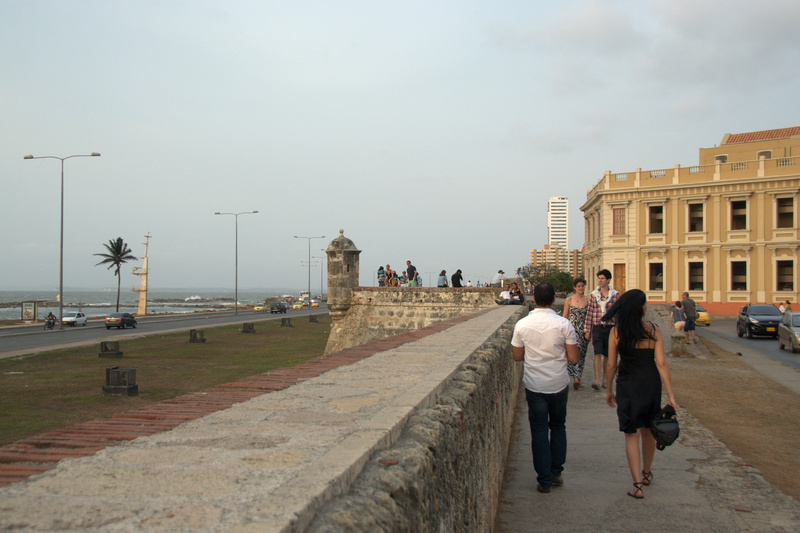 Getsemaní (as seen from the wall) teems with life – mostly locals, not tourists. El Reloj de Puerta del Sol (Clock Tower/Sun Gate) is the main passageway into the Old City. 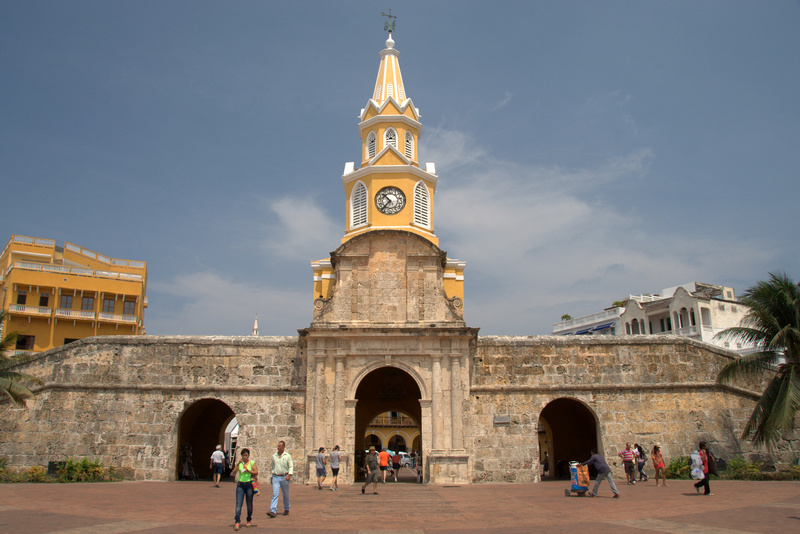 The Sun Gate is a stunning example of how the city walls can be simultaneously imposing and beautiful. The Clock Tower/Sun Gate looks especially photogenic at nightfall. Nightly breezes encourage further exploration. 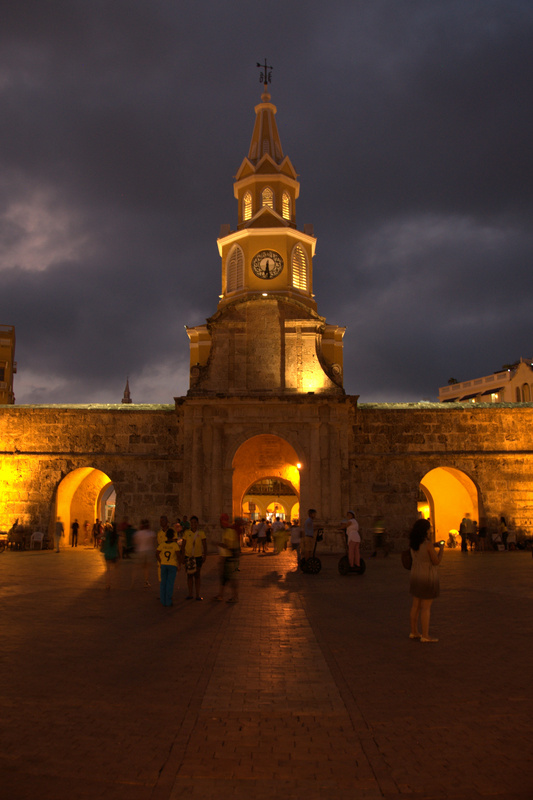 That monstrous high-rise hotel notwithstanding, Cartagena’s tourism department has made quite an effort to make the approach to the Clock Tower/Sun Gate something to behold. One afternoon’s wall walk took me to a little-touristed corner of the Old City. 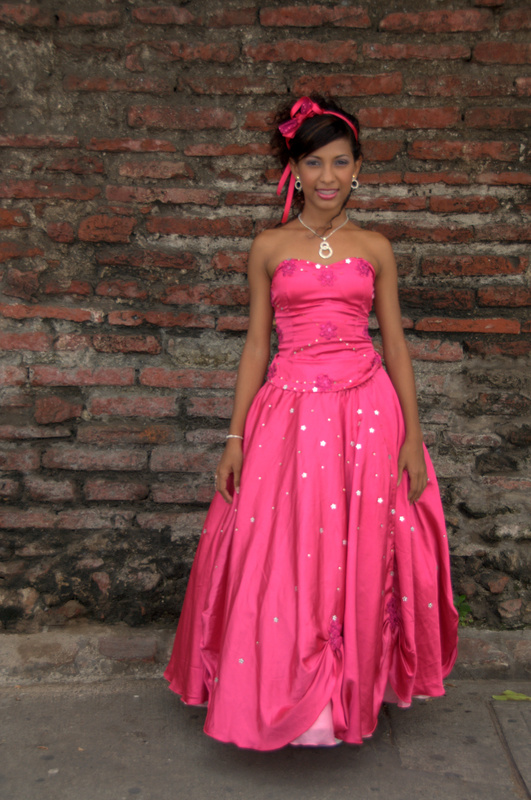 I ran into this local girl, who had just turned 15 and who asked me to photograph her in her stunning Quinceañera dress. 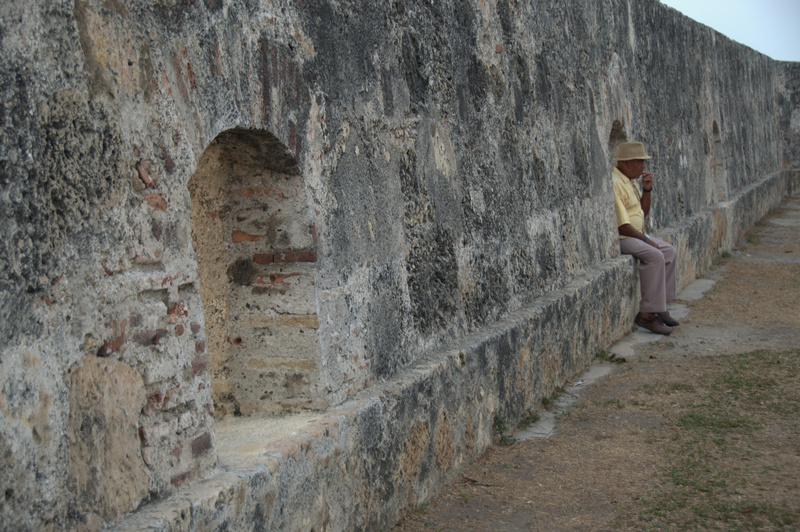 An old man – complete with panama hat and toothpick – contemplates life from his perfectly-sized nook.